The 2019-2020 application for financial aid is now available! Apply by April 15! Complete the online. You have to renew your Free Application for Federal Student Aid (FAFSA) every year. 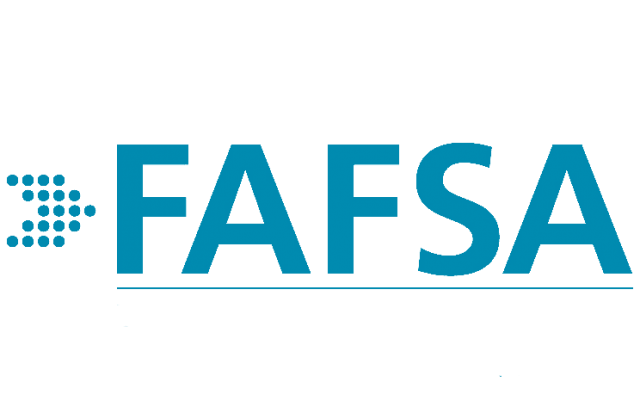 The FAFSA becomes available on October 1 for the following fall, spring and summer semesters. It can take 5-10 business days for your FAFSA to be sent to RRCC after you submit it online. To send your FAFSA to RRCC, use our school code: 009543. Log into student portal and select "Financial Aid Requirements" to see if you need to turn in any additional paperwork before you can be awarded financial aid. If you have submitted all required documentation and you meet all eligibility requirements, RRCC's Financial Aid Office will award financial aid to you based on your eligibility. 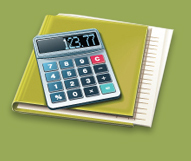 Allow about two weeks for processing of all financial aid paperwork. Log into student portal and select "Financial Aid Award" to view your awards. "Free" money like grants are automatically accepted for you. Click here for instructions on how to accept a loan being offered to you. Financial aid is awarded each spring for the upcoming aid year. Student files that are completed during the semester will be awarded once all paperwork is completed and processed. Awards are made based on the availability of funds at that time. It may take up to about two weeks to be awarded after completing your file during the semester. For the Spring 2019 semester, financial aid paid into student accounts to pay your tuition/fees balance on February 11 (February 25 is the loan disbursement date for first-time federal student loan borrowers). If your financial aid is more than your tuition/fees balance, you could qualify to receive some funding in the form of a refund. Refunds are typically made available via BankMobile the Friday after your aid has paid into your RRCC student account balance. Contact the Cashier's Office with questions about BankMobile. Job opportunities on campus - RRCC is hiring student employees! Visit the Financial Aid Office to find out if you are eligible for work-study. Click here to read RRCC's Payment Policy. The 2019-2020 scholarship application is now available! Visit the RRCC Foundation page to view scholarship opportunities, deadlines, and requirements. All Foundation scholarship material must be received by midnight on March 2, 2018. *Note: Tuition, fees, and books are direct costs and vary depending on the total number of credits you take. Other listed fees are estimates provided by the State of Colorado and the Colorado Community College System (CCCS) and are not paid directly to RRCC. The amounts above are based on estimates from the 2017-2018 aid year. 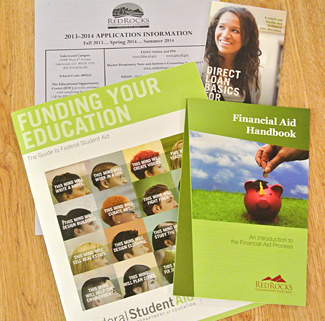 Information on RRCC policies and procedures can be found throughout this website and in the Financial Aid Handbook. It is every RRCC financial aid applicant's responsibility to be familiar with the contents of this document. Be a U.S. citizen, U.S. Permanent Resident, or other eligible non-citizen. Be working toward a degree or a financial aid approved certificate (click here for programs that are not eligible for financial aid). Meet RRCC's Satisfactory Academic Progress policy. Not owe a refund on any federal grant, must not have borrowed federal student loans in excess of annual or aggregate loan limits, and must not be in default on any federal student loan. All documentation requested by the Financial Aid Office must have been completed and processed by our office by the published deadlines.